Welcome to Alfano motorcars in San Luis Obispo. The home of luxury car buying experience. 2019 Mercedes-Benz E-Class E 450 4MATIC® White 4MATIC® 9-Speed Automatic 3.0L V6 BiTurbo 4MATIC®. 20/28 City/Highway MPGWelcome to Alfano motorcars in San Luis Obispo. The home of luxury car buying experience. 2019 Mercedes-Benz E-Class E 450 4MATIC® White 4MATIC® 9-Speed Automatic 3.0L V6 BiTurbo 4MATIC®. Welcome to Alfano motorcars in San Luis Obispo. The home of luxury car buying experience. 2019 Mercedes-Benz E-Class E 53 AMG® 4MATIC® Black 4MATIC® 9-Speed Automatic I6 I6, 4MATIC®. 21/28 City/Highway MPGWelcome to Alfano motorcars in San Luis Obispo. The home of luxury car buying experience. 2019 Mercedes-Benz E-Class E 53 AMG® 4MATIC® Black 4MATIC® 9-Speed Automatic I6 I6, 4MATIC®. 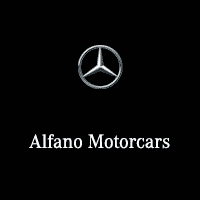 Welcome to Alfano motorcars in San Luis Obispo. The home of luxury car buying experience. Recent Arrival! 2019 Mercedes-Benz E-Class E 63 S AMG® 4MATIC® 4MATIC® 9-Speed Automatic 4.0L V8 4MATIC®.Welcome to Alfano motorcars in San Luis Obispo. The home of luxury car buying experience. Recent Arrival! 2019 Mercedes-Benz E-Class E 63 S AMG® 4MATIC® 4MATIC® 9-Speed Automatic 4.0L V8 4MATIC®.